Got an app you love? If I took away a persistent data connection would you still love it? Would it even work? There are a lot of "top mobile apps" lists on the Internet, but none of them cater to the type of travel we do. While many of the apps on our list will be useful in the US, our list is tailored to international travelers (specifically those on a budget). We've been using all of the apps highlighted in this post for months and commonly rely on each one. When developing this list we intentionally tried to avoid apps that require a consistent data or wifi connection to work. When you are on a road trip through multiple countries in Central America, data plans can be expensive, work inconsistently, and performance can be terrible (2G is not unheard of). You do encounter wifi commonly, but unpredictably, and the speeds can also be awful. For these reasons we are promoting apps that require little to no connection. Orux is a free maps program for your phone. From an end user point of view it is similar to Google Maps. What's different about it is that you can save huge chunks of maps offline so that you don't need to have a data connection. When I say huge chunks, I mean huge. I carry a very detailed map of all of Central America in my pocket. The maps are all free, they are from the OpenStreetMap project, and are very good. Orux works off your GPS signal which is free to use and not reliant on cell service or wifi. It works virtually anywhere...and it's free. Since finding this program I've used it in rural Guatemala and Panama without any issues. It's worth mentioning that Google Maps offers the ability to download some maps offline which is a good feature but for the time being it is not easy to use and it is not comprehensive enough. Given time I'm sure Google will get there but for today, Google Maps ranks only an Honorable Mention. The only downside of Orux is that you should download updated maps from time to time just to refresh what's on your device since it is not constantly connected. You can download information and use it offline. Things like walking maps of cities, reviews, etc. When you can connect to wifi you can browse tons of reviews about tourist stops, hostels, and restaurants. They do a good job fostering and curating an active user community. There is not a lot of obvious spam on the site/app. TripAdvisor is more comprehensive than most give it credit for. With it's latest major release, January 2015, this application is being hailed as the Star Trek Universal Translator...and it's close. If you are travelling to an international destination where you don't know the language...get this app! 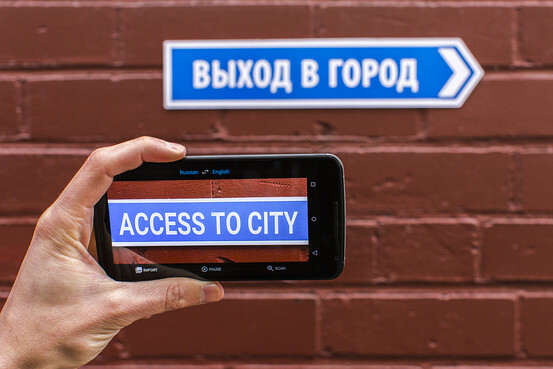 In the latest release Google has fully embedded the WordLens app which allows you to use the camera on your phone to instantly translate signs, menus, etc. If you have the latest version of this app you can delete WordLens from your phone (if you had it). Side note: when we first moved to Guatemala we used this feature to help translate a lease agreement. The translation was not perfect but it worked well enough so that we felt good signing the doc. No data connection required for this feature on either platform. The coolest feature of this newest version is the text to speech translator. You can actually have conversations with another person, in near real time, in each other's native language. You talk in English, your phone verbally translates to their language, they talk back to the phone in their language, Google speaks back to you in your language. This feature is still in its early days of use and development but it is available now, for free, and works impressively well. NOTE, a wifi or data connection is required for this feature to work. Like prior versions it includes the text to type (or copy and paste) functionality for translation. Again, it's not perfect but it works for all the basic needs. Android users get the optional benefit of downloading one full language pack for free. This means I'm carrying a full Spanish language and phrase translator in my pocket for offline use. The IOS version does not include the full Spanish language offline option. Perhaps in a future release? Right now it appears to be Google's way of thanking the Android users. With xoom you can avoid pricey international ATM fees and costly bank wire transfer fees. We've used this service in two countries and it works great. There is a free registration and verification process the first time you use it, but after that you can get money from your US bank, sent to a foreign bank, nearly instantly, and for as little as $4.99 US. Once your US account is verified, you tell xoom which city and country you are in (note, it does not work in all countries but it works in a lot) and they will give you a list of banks and branches nearby where you can pick-up your money. Once you select a location your money will be ready for pickup in just a few minutes (so long as the bank is open). All you have to do is show the bank your xoom transaction number (that will be sent to your phone), and they will hand over the cash. Xoom will take their little piece, not the bank. Cost of the service varies by country. In Guatemala you can transfer up to $3,000 US for only $4.99. That's a lot cheaper than ATM fees and/or wire transfers, and it's a lot faster. The only catch is that you need to have wifi or data service to use this but since you should not need to use this very often, you can plan accordingly. Unblocks websites, apps and content that may be blocked by your host country or for licensing/distribution issues. For instance, there are some news and corporate websites in the US that are not available to us because we are browsing from Guatemala. Hola! redirects our browsing to appear as if we are in the US and we can instantly see the content we were previously blocked from viewing. Speeds up your connection to certain sites. Essentially you are using less internet hops to bounce around from country to country so the connection is faster, on some sites. Utilizing a VPN tunnel it keeps your activities secure and private. This can be an important feature if you're using an open wifi connection. While this is a mobile app, I find it most handy on my Windows laptop. Since it tends to be more browser centric. It's free there too via an extension in my browser. File this one under safety and awareness. Different parts of the world are more susceptible to earthquakes. For instance, in the past two months, there have been 18 earthquakes with epicenters in Guatemala measuring over 4.2 magnitude...and the entire country is the size of Tennessee. Somehow we've not felt any of them but, each time there is one this app sends me an alert within minutes telling me where, when and how big. Step-by-step instructions of what to do before/during/after an earthquake, even if you have no data connectivity. 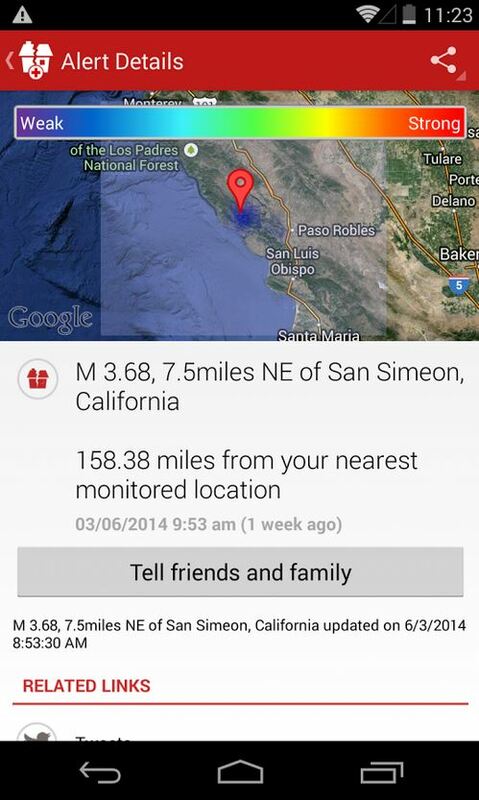 Lets family and friends know you are okay with the customizable “I’m Safe” alert for Facebook, Twitter, email and text. Stay safe when the lights are out with the Toolkit, including a strobe light, flashlight and audible alert functions. See an illustrated history of earthquakes in your area. As mentioned some features do require a wifi or data connection but it does not have to be a good one. It's a great all around free app for piece of mind and staying abreast of things. That's it for now. Use these apps to find your way, communicate in another language, get cash when you need it, overcome technical hurdles and stay safe. See any apps we missed? Post them in the comments below.